Copyright �2006 PopEntertainment.com. All rights reserved. Posted: December 29, 2006. 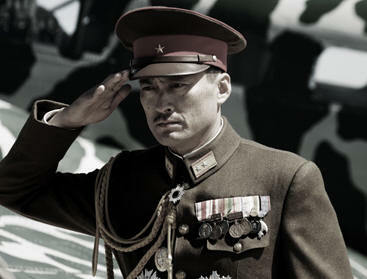 With Oscar-nominated Japanese actor Ken Watanabe playing General Tadamichi Kuribayashi in Letters from Iwo Jima, director Clint Eastwood assured audiences that he employed a actor equal in stature to the commander who held the island of Iwo Jima for several weeks against overwhelming odds. The Battle of Iwo Jima was one of the fiercest struggles of the Pacific theater of World War II, with over 20,000 Japanese and 7,000 American casualties. Early in the battle, during February 1945, an American flag was raised on top the high point, Mount Suribachi, and the subsequent photograph of the raising became an American icon as a powerful inspiration of the Allied cause. Told from the Japanese point of view, this companion piece to Flags of Our Fathers provides not only a fresh view of the war but an anti-war statement that demonstrates both the humanity of the enemy � in this case the Japanese soldiers � and the extremes that their sense of honor provoked with utterly futile results. 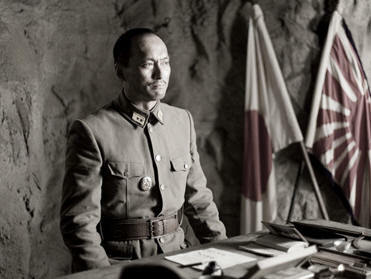 The 45-year old Watanabe brilliantly expressed Kuribayashi's military intelligence (he set up a series of tunnels that extended the Japanese resistance by weeks), his sense of duty, and respect for his men as well as a healthy respect for the Americans; he had spent time living in California before returning to Japan at the advent of war. And once again, against the odds, this film � shot almost entirely in Japanese and with a mostly Japanese cast � is being touted as Oscar-worthy. 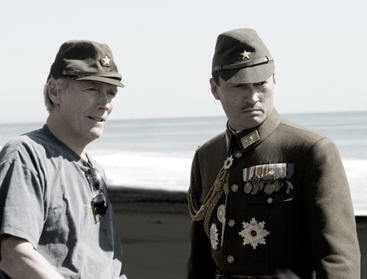 But this isn't the first time that Watanabe intersected with the West both on and off-camera; in The Last Samurai he played Katsumo, the samurai leader who led a rebellion against the elected Japanese government (and garnered a Best Supporting Actor nom) and in Memoirs of A Geisha he was the Chairman. Though his career was nearly derailed by a bout with leukemia, Watanabe has paid his dues, starting out in theater and then in doing historical dramas such as Dokugan ryu Masamune � playing a samurai hero that made him a household name in Japan. Such films as Tampopo and Kizuna established him as a full-fledged film actor and now, one willing to do an interview entirely in English. One of the goals of the Japanese military in the '30s and during the war was to connect its rank and file to the past glory of the samurai and the traditions of fealty and honor. Did your previous roles as a samurai help you to understand this militaristic mindset? My character carried the spirit of the samurai, but he was also a very rational person. 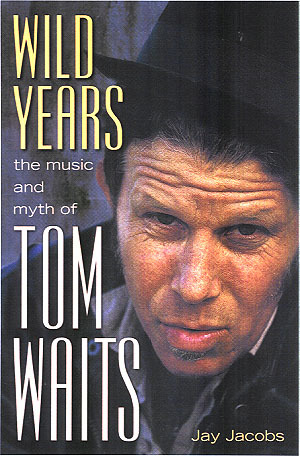 He had studied for five years in both the United States and Canada. He completely understood the American way: its culture, customs, economy, industry, everything. So it wasn't easy for him to fight against the United States. He struggled a lot before going into battle. In the end, though, he focused on the task at hand by reminding himself that he was fighting in the name of his country and his family. Did you ever wonder what it would have been like if you had been in the war yourself? I find it almost impossible to grasp such an idea. It's overwhelming. Was it important to make a statement at this time about the experience of the Japanese during the war? Iraq has led us to reexamine war. Clint did not want to romanticize the war. 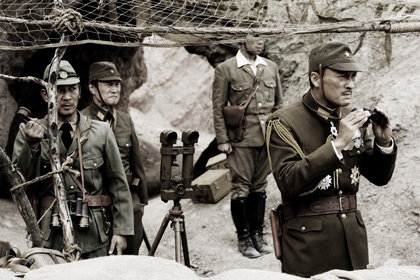 Japan's history is very rich but also very sad, and he wanted to portray the war realistically. Of course, the movie may conjure up feelings about the war in Iraq, but our intention was not to comment on Iraq. Was the message of this film that war should be avoided? Since we've been engulfed in so many ongoing wars, how would you explain the importance of seeing this film to someone who doesn't even like films about war? I didn't really have strong feelings about war before shooting, one way or the other. But after doing the film, my eyes were opened to its atrocities. I feel deeply for anyone who has had to live through something like that. So even the person who's not interested in war movies, they'll get this message? Yes, it reflects an unfortunate aspect of reality, but it must be brought to light. What did you do in preparing for this film; did you meet with anyone who helped you get a perspective on the experience? I play the role of a commander so I had to familiarize myself with military processes and warfare. I asked myself, "Why did Japan start the war?" I wanted to know all the decisions that eventually led up to the tragedy. I found myself frustrated with some of the decisions that were made back then. In researching this film, did you come away with an understanding or knowledge that you didn't have beforehand? Unfortunately, most Japanese people aren't aware of this tragedy; even I didn't know until I did the film. It's difficult to say why, but perhaps it has something to do with the lack of a good education. This film deals with only one of many tragedies in the history of the world, but hopefully it will get people to think more about these forgotten incidents. What was your toughest challenge in this movie? When Clint approached me about this project, it posed a great personal challenge for me. There was a lot of pressure. 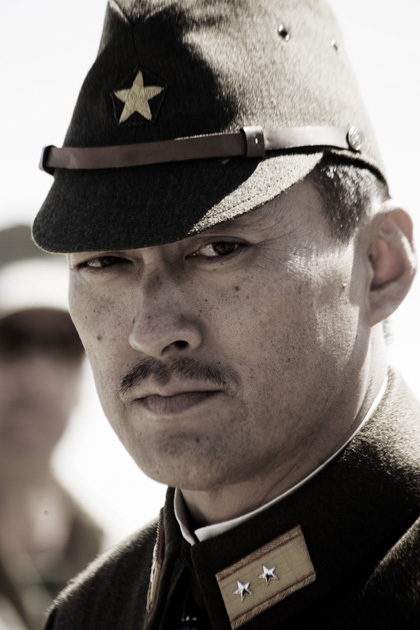 Here I am as a Japanese actor and I'm being asked to represent a true historical account of my country. There were thousands and thousands of casualties on this island, so it was a big deal for me. You felt responsible to give voice to your country. What was it like working with Clint on set? You would think that the set on a war movie would be chaotic � lots of dirt, sweat and noise. It was actually pretty calm. We were depicting such intense and violent incidents, but everyone was at peace. I almost forgot that we were shooting a war film. Did you help with the casting? I helped a little bit. I made suggestions to Clint that so-and-so was great at this and someone else was great for that. Had you worked with any of the other actors before? I'd worked on four occasions with Tsuyoshi Ihara [Baron Nishi]. Really? Were they samurai films? Yes, they were made in Japan. Going forward, do you want to continue exploring the intersection between Japanese and Western culture or do something totally different? Honestly, I have no idea. I tried Memoirs of a Geisha last year and this year I did a film in Japan about an Alzheimer's patient [Ashita no Kikoku /Memories for Tomorrow; Watanabe was both the lead and executive producer] that I'm trying to get distributed here. I did a lot this year, so I'm just sitting on these films and looking forward to future opportunities [he is rumored to play Kenuichio Harada/Silver Samurai in Wolverine]. Was it different working with an American director rather than a Japanese one? Each director, no matter where he's from, has a different personality and style of work. As actors, it's our job to become comfortable with that factor and adjust to the changing demands. How was the preparation for this movie different from that of Last Samurai? It was harder because Letters deals with material that is much closer to our era. But we had great source materials from both the American side and the Japanese side. We had access to American survivors as well as Japanese survivors. So we had a very well-rounded final product. Geisha was an interesting attempt at introducing elements of traditional Japanese culture to Americans. Do you think Americans are beginning to appreciate and understand Japanese culture more? In a few years, perhaps more nations will have a better understanding of each other. That's something we have to do � educate each other on our own cultural differences. Because Letters is shot in Japanese it is an interesting contrast to Memoirs of a Geisha which was done in English. Do you feel that Letters from Iwo Jima offers a more authentic experience? Memoirs was the vision of director Rob Marshall. 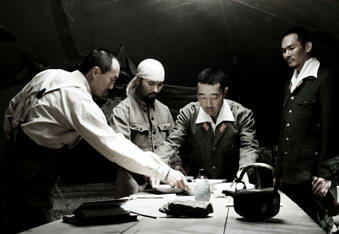 Letters tries to remain true to Japan's history, so it made sense to make this film in Japanese. Clint understood that and he was really open-minded. He had us translate the dialogue from English to Japanese � the original script had been drafted in English. We also wanted to do everything we could to see through the eyes of the Japanese soldiers, and to that end, we put in a lot of research. People spoke Japanese in a more formal and "appropriate" way in those days. Each character had a different background. They came from different places and had nuances in their speech that set them apart from each other. I tried to be as attentive to details as possible throughout the entire process of filming. Did you go and see the Iwo Jima memorial? Yes, we all went on the last day of shooting. We prayed together at the memorial for both countries, then we took a photograph. The prop master took out an American flag and a Japanese flag and we held both. I realized just then the real significance of this film. Many years ago, we were enemies; now we are collaborating on this film together. We understand each other much better. Did you bless this film like you did with Memoirs of a Geisha? I gave a good luck charm to Clint. What do you think about the critics' awards that Letters from Iwo Jima has picked up in the past two or three weeks? It's great because the awards will bring more people to see the film. It really has been my privilege to take part in this special project. The two movies offer two contrasting perspectives on the tragedy. I think it's important to see things from different angles because it opens up our minds to unfamiliar things. Are you more prepared for the big Oscar campaign that's going to be a push for this movie, as opposed to Last Samurai, which was obviously very new to you? Come on, you should get nominated! What would you think if you were to be nominated? I'm very honored to be a part of this project. It's a great opportunity to bridge the gap between two countries that had gone to war in the not too distant past. I'm humbled. Clint Eastwood produces, he directs, he writes. Do you have the same aspirations? I learned a lot from him. He usually follows his convictions and that's important for filmmakers. I think I need some more experience under the belt � maybe another 30 years � before I can begin to follow in his footsteps [laughter]. He started making his own movies when he was your age. Do you have a favorite Clint Eastwood movie? Unforgiven. I was so surprised. It's much different from the traditional Western film. Did you see it in Japanese or English the first time? What is on your list of favorite films? Which Japanese or American films have influenced you? It's hard for me to say; I'm undecided. You don't have any favorite directors? Besides Clint, of course. Working with Clint was the best experience of my career. You've worked with American and Japanese directors. Do you have plans to work with more foreign directors? I hope to do so in the future. Perhaps other Asian directors, or Europeans, or maybe South Americans. It doesn't matter to me. Bring them all on! You played Ra's al Ghul in Batman Begins. Are you interested in doing more work in the action genre? Yes. I'd like to be in Pirates of the Caribbean 4 maybe [laughter]. Would you like your character in the Batman film to make a return? Yes, my character didn't die. We'll be pushing for it [laughter]. You can be an action star with a gun in each hand? Yeah, sometimes I think so. Do you still live in Japan? Most of the time. My children moved to California last summer. I go back and forth between different places. So you live in California sometimes. How do you like that? My son likes his school and all his friends. We're very comfortable. Is he teaching you some more English? What is coming up or underway? I have no idea. You know, I just want to rest. #1 � 2006 Merie W. Wallace. Courtesy of Warner Brothers Pictures. All rights reserved. #2 � 2006 Merie W. Wallace. Courtesy of Warner Brothers Pictures. All rights reserved. #3 � 2006 Merie W. Wallace. Courtesy of Warner Brothers Pictures. All rights reserved. #4 � 2006 Merie W. Wallace. Courtesy of Warner Brothers Pictures. All rights reserved. #5 � 2006 Merie W. Wallace. Courtesy of Warner Brothers Pictures. All rights reserved. #6 � 2006 Merie W. Wallace. Courtesy of Warner Brothers Pictures. All rights reserved.